Throughout all of my childhood, I can remember early afternoons when I would come home from school and find my mother in a dark room sleeping. At first I was alarmed at the oddness of the scene and worried about my mothers health. Eventually, I asked my mom and dad about what was wrong, to my surprise my Mom was suffering from sever migraine headaches. Ever since my discovery, I have always been intrigued about how such severe headaches are triggered. Without looking too hard into migraines, the run of the mill causes of migraines seemed to be obvious, the most popular reason being stress. However, recently I came across an article on CNN that enlightened me to a study done by the San Diego School of Medicine on the potential causes of migraines. The study was relatively large in stature. In the study, nearly 2,000 people’s mouths and feces were taken under review. In an attempt to eliminate a prominent confounding third variable, they participants were asked about whether or not they had experience migraines in the past. Interestingly enough, the results of the study showed that those who had migraines had a strand of bacteria located in their mouths and feces that were not found in the participants who do not have migraines. This seems to be a relatively reasonable explanation for a potential mechanism for the cause of migraine headaches. 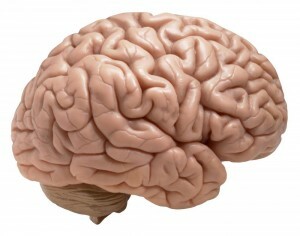 However, the study and the article do not mention how the bacteria directly affect the brain triggering the migraine. Therefore, I am not completely ready to make a conclusion that this bacterium is the official mechanism for migraines. Overall, it is refreshing to see a quality study done attempting to explain the mechanism for migraines. In the future, I would like to see further investigation into the bacteria within the mouths and feces of those affected by migraines. These headaches are so common for so many people that I believe it is important to investigate further in to the matter. This entry was posted in Uncategorized on October 20, 2016 by Thomas Garvin. Is it possible to test the “breaking the seal” dilemma? It is almost guaranteed to be a discussion at every party or any other alcohol filled event; often in the form of a joke, “breaking the seal” is a dilemma that has been a problem for many. I have always been interested in the mechanism behind the correlation between alcohol and having to relieve oneself, I particularly was interested in studies examining their relationship. Unfortunately, there hasn’t been much momentum behind getting a big study done to prove the “breaking the seal” phenomena. However an article from Thrillist, opened the conversation with a urologist about the potential correlation. The most reasonable explanation from the urologist is that alcohol itself is a diaretic, which causes people to need to go the bathroom more. However, most of the article talks in a hypothetical tone, without any concrete evidence supporting her beliefs. As much as I appreciated the independent urologists input on the alcohols effect on the bladder, I would have preferred to examine the results of an extended study. This idea is perfect for a double blind procedure experiment. For example, there would be three randomized groups, one being the control, another the placebo group, and the third the actual experimental group. For the control, the scientist would simply observe the groups use of the bathroom without having them drink any alcohol. For the placebo group, they would be offered a non-alcoholic beverage that they perceive to have actual alcohol in it. Finally, the third group will consume regular alcohol. 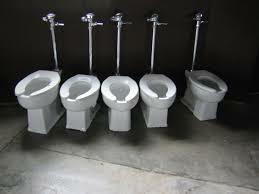 All three groups and the number of bathroom trips would be observed. However, with this potential experiment comes a slew of confounding third variables that would have to be addressed. The confounding third variables would most likely be, the individual’s bladder size, how much alcohol each person consumed, whether or no other liquids had been consumed prior to the experiment. Unfortunately, in this particular case some variables are seemingly impossible to eliminate for an experiment, perhaps explaining why not many experiments have been done on this dilemma. Overall, I find the “breaking the seal” dilemma to be an interesting and relatable topic to many. It seems like a very reasonable thing to run a personal experiment on, but it’s an unrealistic idea to test scientifically. I can imagine the scientists having a hard time raising funds for this idea! Of all the infamous diseases, the one seemingly most feared and warned against across the country is HIV/AIDS. I can remember one of the first health classes I ever had discussing AIDS and its devastating consequences. A major focus on the disease was techniques for prevention, especially because there was no cure. Now, there may be a new insight into a special human make-up that is immune to the deadly disease. According to The Aids Institute, the disease was discovered in 1983, where it was found that it depletes the human immune system, leaving the host completely vulnerable. Interestingly enough, AIDS does not directly kill the person it infects; rather it eliminates the human’s defense mechanism developed to protect against other deadly diseases. However, a new study has developed enlightening the world to a group of young children in Africa who are immune to HIV/AIDS. According to CNN, an observational study following African mothers infected with the disease showed that their babies are immune. The article discusses a study done by a professor at the University of Oxford who looked at over 100 kids that were seemingly immune to the disease. After numerous blood tests, the study concluded that their immune systems were operating enough for HIV to claim its stake. Within the study, a point of emphasis was ethics. It was decided that within the kids chosen to observe that if one of them was discovered to be HIV positive, they had to continue to give them proper treatment. Thus, even if one of the children correlated with the null hypothesis and were not immune to the virus, they must still receive medical treatment. Much like the ethics discussed in class, it is just not right to abandon a kid who has tested positive for the virus solely because he or she did not have the results that the study was hoping to find. Observing the study discussed in the article, some of its aspects are highly credible yet others are questionable in my eye. As for what I found most impressive, the study was able to conclude a mechanism as to how the biological makeup of these kids prevented themselves from the disease, the mechanism being that the kids had too low of a working immune system for HIV to attack. On the contrary, the small size of the study makes me question the credibility of the study and whether or not it took in to account confounding third variables such as genetic makeup and family health history. Overall, there is hope in this small study in that these young kids will never be afflicted with the horrific ramification of HIV/AIDS. Maybe, further examination of the children will offer a lead into a potential cure. The possibilities are endless with this finding, I am hoping that larger and more in-depth studies will lead to more concrete findings. This entry was posted in Uncategorized on October 18, 2016 by Thomas Garvin. Natural Disasters and Disease: Is America safe? It seems that every year in America, people and the media have a new rare disease to overhype and over examine. From the Swine flu, to the infamous Ebola, now the Zika virus has taken the country by storm. These unfortunate diseases mainly caught people’s attention due to their highly contagious nature, but most all have been relatively quarantined within a short period of time. However, the Zika virus has recently gained potential momentum from a natural occurrence Hurricane Matthew, for the first time I realized the biochemical impact that natural disasters can have on the human population. The Zika virus is far from friendly, the Centers for Disease Control warns that the disease has a potential to cause birth defects in babies who’s mothers are infected. Much like the infamous Swine Flu, the Zika virus is spread through a particular animal, in this case mosquitos. 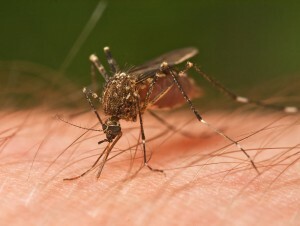 Not only are mosquitos already pesky enough, but also their bites, if infected, can carry this nasty disease. According to the CDC, Zika has primarily plagued the poor communities in African areas with contaminated water and a lack of resources. Much like the confounding third variable studied in class for the children with worms, the quality of living has to be measured when discovering the nature of the Zika disease. In both cases, the poorer communities tend to have more kids with worms and are more prone to disease. According to Abc World News, the devastation of Hurricane Matthew has reduced populated areas to shambles, much of which resemble the likes of a vulnerable habitat for disease. As a result, the threat for Zika has increased in the minds of many, as the devastated areas are hotbeds for potential contamination. The disease can be transmitted through not only the mosquito, but also sexual contact, making it even more devious. The CDC warns that the disease has a potential to cause birth defects in babies whose mothers are infected. Therefore, it is easy to make the correlation between poorer areas and their susceptibility to disease. Although America is far from a third world country, it is alarming that a natural disaster can reduce its communities to resemble one. Hurricane Matthew creating such havoc on American soil hits home, leaving an uneasy feeling that we are not as protected as we may think. This entry was posted in Uncategorized on October 17, 2016 by Thomas Garvin. Aspartame: Is it really cancerous? As a fan of Diet Coke, I have always vouched for its zero calories and no fat product over its companion, coca cola. The carbonation and sweet taste have always brought my taste buds pleasure. However, I have always been curious as to how Diet Coke is able to taste so good with a non-existent calorie count on the label. I recently discovered the answer to my curiosity; the product used to create such appealing taste is a controversial artificial sweetener known as aspartame. Aspartame has recently been labeled as a potentially cancerous product, turning many away from products where its name is shown on the ingredients label. It is frowned upon by household health freaks, but are their concerns valid? Aspartame is an economic blessing for large brand producers. According to the American Cancer Society, the artificial sweetener is much more effective in producing a sweeter taste with less quantity than using actual sugar. Therefore, because a small amount of aspartame produces the same taste as an exponential amount of actual sugar, the calories within the product decreases dramatically. Naturally, from the mindset of a giant producer such as the Coca-Cola Company, this product is appealing financially. However, as much as aspartame is beneficial to Coca-Cola Company, it is potentially just as much as a hazard to the health of all who consume it. 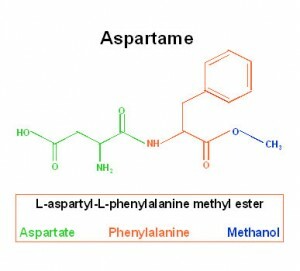 As aspartame became more and more popular for industries looking to save money by mimicking sugar with its more efficient counterpart, researchers became curious about the side effects for this artificial sweetener. The American Cancer Society article refers to two studies done to determine the potential health risks involved in consuming aspartame. The article refers to two studies one experimental and the other correlational. Within the experimental study, researchers used rats and gave them copious amounts of aspartame to see the effects it had on their health. According to the article, there was no link between the rats’ health and the amount of aspartame they were exposed to. As for the correlational studies observing humans, the majority of studies have shown that there is no cancerous effect of aspartame. A study in 1970 shows a potential correlation between the two, but confounding third variables such as the diets of those studied in 1970 versus 2016, make the argument shaky at best. The article in the American Cancer Society website makes reference to two large studies that examined upwards of 500,000 adults where the same result was concluded, aspartame most likely, since nothing is definite, not causing cancer. As a result, I strongly urge people who refuse to drink Diet Coke and consume products labeled with aspartame as an ingredient to think twice about writing these products off as unhealthy. Unlike the correlation between lung cancer and smoking as discussed in class, as of now, there is no definite link between cancer and aspartame. Therefore, being a rational person, I will continue to drink and enjoy my favorite soda without worrying about the faux health risks of aspartame. This entry was posted in Uncategorized on October 3, 2016 by Thomas Garvin. In today’s American work force, there are all sorts of dangers associated with both blue and white-collar jobs. However, physical dangers are most commonly associated with those who are in blue-collar professions. For instance, a construction worker may experience commonplace injuries such as a broken bone from a heightened fall or a pulled muscle from lifting a piece of heavy equipment. However, according to a recent CNN report, hearing loss is the most present work injury facing American employees today. The CNN report narrates a detailed story of one ill-fated man who suffered from the effects of progressive hearing loss, eventually forcing him to retire at the age of 51. This one mans story correlates with research done by the CDD where excessive noise at the work place has increased the potential for hearing damage or loss. The CDD conducted a study running tests on hundreds of thousands of American workers of who were employed in areas most vulnerable to damaging noise. According to the results, these employees exposed to excessive noise had increased hearing damage as to those who were employed in non-threatening to hearing places of work. The studies also showed that men were more susceptible to the hearing loss than woman were. The good news is that with today’s technology, there are numerous tactics that can be used to prevent hearing impairment. It is suggested that those who work in potentially vulnerable work places, look for different areas of employment. However, the most unfortunate part of hearing loss is that once there is damage done, there is no way to fully restore the hearing. 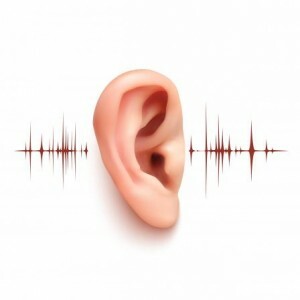 There are some techniques used to attempt to restore hearing but are not one hundred percent effective. It’s been nearly a month into the fall semester classes, still in the middle of September, and already I have noticed the astonishing amount of coughs and sneezes in my classes. As a freshman, all I have are rumors of the infamous “Penn State cold” that spreads around State college in no time at all. In preparation for this infamous time at Penn State, I was intrigued in the dynamics of a sneeze. I was online researching how the common cold spreads so easily when I stumbled upon a 6abc World News article depicting how a sneeze looks in slow motion. After watching the video, I was astonished by the range of which the mucus can reach. The 6abc article makes reference to the study done by the New England Journal of medicine, which ultimately concluded that, a sneeze could travel upwards of 3-26 feet. Even more appalling, the closer someone is to the sneeze the more vulnerable they are to the thicker mucus. The study was done based on a sneeze that was not coerced in any way. The nose seems to be the most commonly affected area during a cold as made evident by the number of sneezes in a classroom and empty tissue boxes lying around the dorms. Thanks to the notorious sneeze, it is also one of the most effective ways to pass on the cold to someone else. However, it is from the research done on observing the elements of a sneeze that the solution to end the spread of the cold is to simply cover the nose! It is important to use a tissue to prohibit the sneeze from extending towards other people, potentially infecting them. Another commonplace method to forbid the advancement of the cold is by washing hands. Now more than ever the human race is aware of the staggering amount of germs in our world. Thus, it is absolutely crucial that all people wash their hands thoroughly with soap and warm water, to ensure immunity. It is important to take care of yourself during this upcoming cold season, but more importantly to be conscious of those around you, as to not infect them with a potential virus. A college campus can be a hot bed for viruses such as the cold, so it is important to stay informed as winter approaches. I’ve always been intrigued in the evolution of humans and the mysterious lives of our distant ancestors. Speculation swirls around the religious and scientific world over the concept of evolution and where exactly the human race originates. 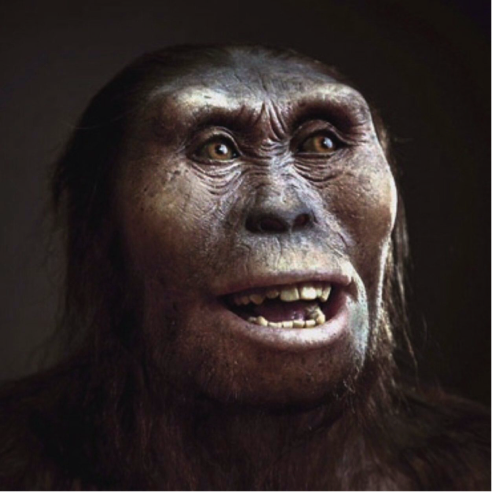 On November 24th, 1974 some of those questions were answered thanks to the discovery of a Hominidae fossil, later named Lucy, at a site in Ethiopia. Lucy’s remains have provided insight into the development of today’s most elaborate species, Homo sapiens. The most groundbreaking discovery is that Lucy had the ability to walk straight up as humans now do. Thus, providing further evidence for the pro-evolution argument. Technological developments have even made it possible to depict a hypothetical image of a living Lucy, essentially giving her fossils life. Her bones have been interpreted, copied, and studied in every way imaginable and her discovery has lead to an abundance of information for scientists to review for the last 42 years. However, a simple question has eluded scientists around the world who have been studying the remains of Lucy; how did she die? There have been numerous studies and several hypotheses in hopes of determining Lucy’s cause of death. According to the ASU Institute of Human Origins, evidence on Lucy’s bones has previously provided insight into her death. However, a predator could possibly have made this wound post-death. Basically, there was inconclusive evidence regarding the cause of death. That was until a recent discovery unearthed some hidden secrets potentially shedding light on the Lucy mystery. According to the researchers articles in Nature, the newest theory is… wait for it… that she fell out of a tree! The lead scientists have reasoned that the wounds suffered by Lucy parallel those of human fractured bones from high falls. As a result, it has been hypothesized that Lucy had fallen from a high distance, ultimately resulting in wounds that ruptured key organs leading to her death. Personally, I found the potential cause of Lucy’s death, falling out of a tree, as rather underwhelming. But, the circumstance of which the human-like fossil was discovered and the insights she provides about our species past is truly incredible. With advancing technology, the possibilities are seemingly endless in discovering more and more valuable information. Lucy may provide information regarding the origins of human life and ultimately has the potential to change the course of science like never before. Giving these fossils both a name and image to identify with is unlike anything I have heard or seen before. It seems to make all of the research just a little more special and personal then other studies. This entry was posted in Uncategorized on September 10, 2016 by Thomas Garvin. Hi everyone, my name is TJ Garvin and I’m from Doylestown, Pennsylvania and went to La Salle College High School. I’m a freshman currently in the division of undergraduate studies yet aspiring to be in Smeal to major in business finance. I am not a science major primarily because of my high school biology class which was not very fun at all. Also, I’ve never really been the most cautious guy in a lab setting. I like interacting and learning about people rather than performing tests on specific elements. However it is for that exact reason why I am taking SC200! I’m intrigued to learn about how science can impact all of humanity and explain seemingly unexplainable things! I like sports and love the science behind it. I am really trying to figure out why the Eagles cant win a Super Bowl, so I could really use some help on that. 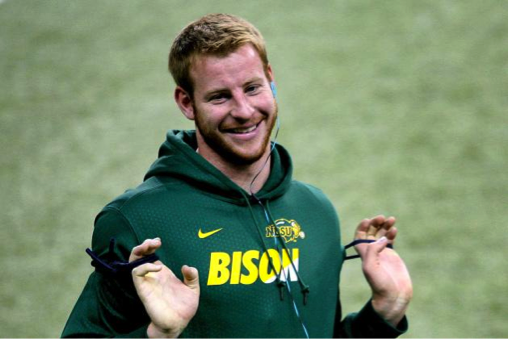 Wentz baby! I think its essential to know at least a little science as a foundation to have a successful sports team. I enjoy watching the facts from the “Sports Science” segment on ESPN, but I really hate the guy who hosts it, click here for his twitter. I’m really excited for this SC200 class and cant wait to learn more about how science affects our everyday life! This entry was posted in Uncategorized on August 29, 2016 by Thomas Garvin.